Steve began his career as a guitarist, founding his Brooklyn, New York school, The Guitar Workshop in 1977. While teaching and performing in the New York area with other guitar masters like Joe Pass, Jimmy Ponder and Jack Wilkins, Steve got his first introduction to the Stick through a meeting with Emmett Chapman at a guitar expo in 1983. Recognizing the great potential of the instrument, he purchased his first Stick in 1984, and has focused his performance activities on it ever since. Today, Steve is considered one of the grand masters of the Stick, has performed at clubs, festivals and conventions all over the U.S., and has conducted seminars and workshops on the Stick in various U.S. cities and in Italy. He is also a regular contributor and columnist for Twentieth Century Guitar Magazine. In 1996, Steve released his breakthrough recording "Sailing Down the river, Sane" marking the first recording featuring Stick in a live jazz setting. 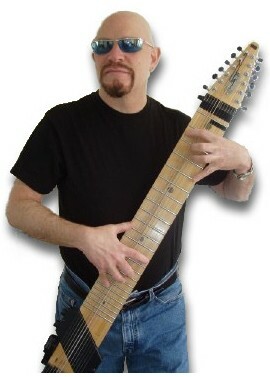 In 2001, he released the long awaited "The Answer's Inside" featuring more of Steve's trademark Stick work as well as guest performances from Tony Levin, Jerry Marotta, Nydia Mata, and Larry Coryell. Steve can be seen regularly at TKOPS 180 in Long Beach, New York as well as at Chez Peter in Atlantic Beach, New York. In late June of this year, Steve will be one of the instructors at the 2003 Montreal Stick Seminar taking place during the annual Montreal Jazz Festival. In addition to his teaching, Steve will also be performing during his stay in Montreal.